Casual elegance meets timeless style in this 2018 remodeled smart home in the heart of Newport Beach, Orange County's premier destination. The expansive property boasts nearly 8,500 sqft of prime location and is secluded behind a modern Earthy wood double automobile gate for absolute privacy. The residence offers a semi-circular driveway for easy access and generous guest parking. Gaze out from the second story to a view of Crystal Cove. The modern and versatile floor plan is introduced with a dramatic entrance for a one-of-a-kind first impression. Luxury finishing and materials at every turn including natural wood accents highlight the home's warmth in this contemporary style. The open concept kitchen with new appliances, flow to the dining room and living room and is perfect for entertaining. 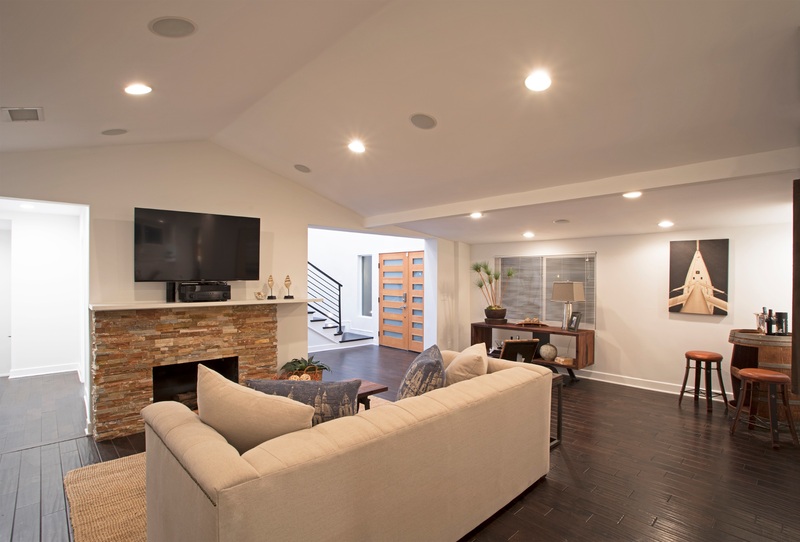 The completed 2018 remodel and upgrades also include; modern lighting, built-in speakers, warm hardwood flooring, and smart technology. Make sure to visit the 132 sqft finished basement which doubled as a wine cellar. This home also features a modern loft. Hike Back Bay Trail, visit Mariners Park and enjoy 17th Street retailers & entertainment. Come experience Orange County's new standard in Coastal Contemporary living.